There’s a new wirefree bra option for fuller busts on the market, thanks to the latest innovation from the Marks & Spencer. The new bra took more than a year to develop, and instead of an underwire uses compression foam technology in the cups to provide the shape and support required in larger sizes. I had read a lot about this bra in the press and was very intrigued. I was pretty certain that a bra without wiring would never be able to hold me and support me so I was a little sceptical when M&S offered to fit me with one of their new bras. The fitting experience was very pleasant and my fitter has been working at M&S for over 20 years and really knew her stuff. The sizing in this bra differs from a regular bra so I advise popping into the store to get a fitting or ordering few sizes online to make sure you get a good fit. I'm normally a 36FF-G but found that a 38F was the perfect fit with this style. The back comes up a little tight (a few of the M&S site reviews have mentioned this too) so I would size up. The moulded cups are trimmed with a lace underband and wide lace wings that help smooth the back and support the bust, while the shoulder straps are made from a high density fabric for additional support. 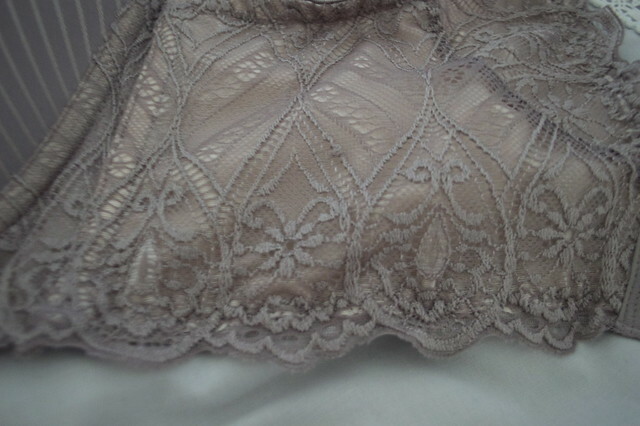 I found that this bra didn't give me the round shape which I normally like to have as I wear very moulded bras and this was a softer cup but it looked lovely under clothes and there was none of that dreaded back fat over spill or digging in. The wide lace at the back really did a great job of smoothing me and creating a clean sillouette under my clothes. The bra is very affordable at just £22.50 and comes in sizes 32-40 DD-G. I typically pay around £30+ for my bras(a definite downside to having a fuller bust) so I think the price is great. I picked up this bra from M&S Cardiff Capital which has been transformed from a Home and Food store to one offering over 20,000 sq ft of Women’s, Men’s and Kids’ fashion, as well as Food and Beauty. The fashion-focused redevelopment establishes an entire ground floor dedicated to Womenswear, showcasing M&S’ sought-after Limited Edition, per una and Indigo clothing collections, as well as footwear and lingerie. This bra has definitely opened my eyes to non-wired options on the market now and it's so refreshing to not be wearing something with uncomfortable wiring. Do you ever wear non-wired bras? This looks beautiful! 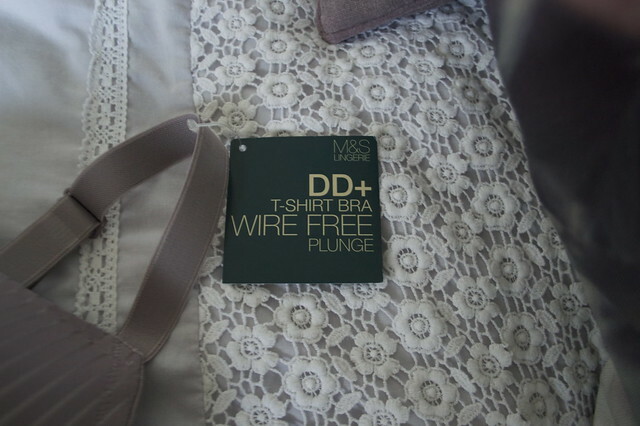 I need to get some new bras so will check out M&S! I really like the look of this bra, I haven't visited the newly done out M&S yet in Cardiff so I'll have to pop in! I like this bra!! Looks very beautiful! I will check out M&S. Firstly I love your blog.